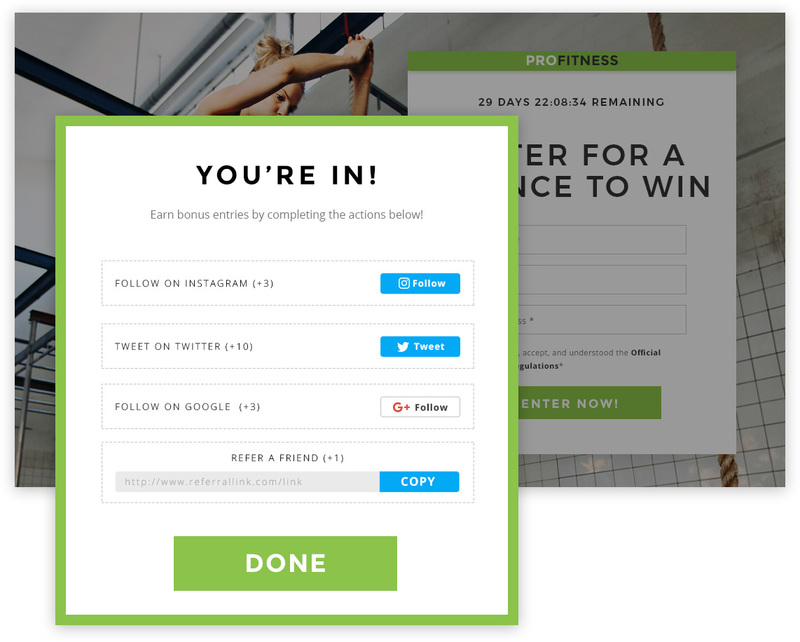 Go viral with a Bonus Entry contest. 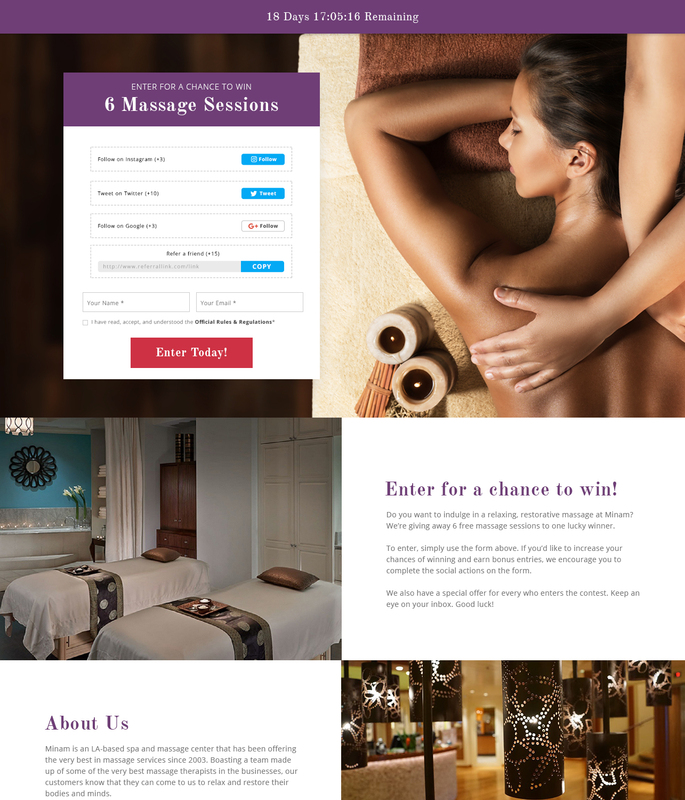 Incentivize social engagement to get more followers and reach more prospective customers with a bonus entry contest.  Award bonus entries to entrants who complete bonus entry actions. 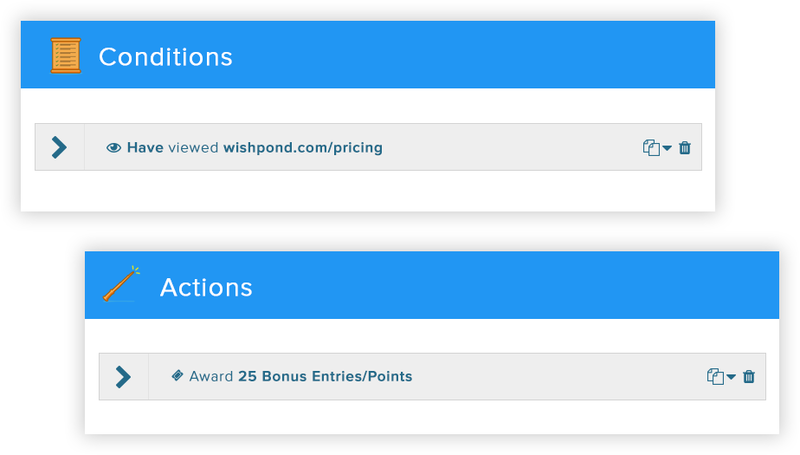 Assign custom point values to each bonus action. 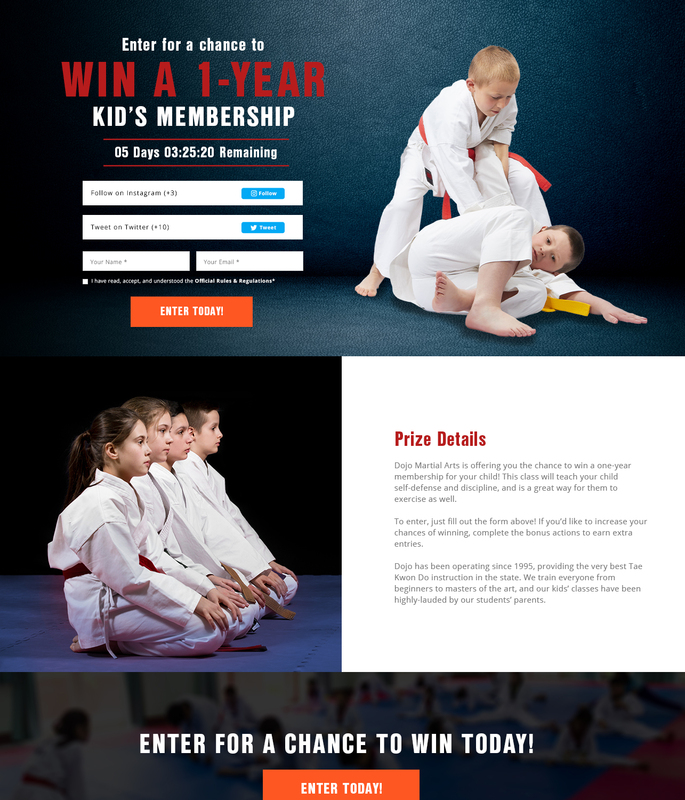 Give each entrant a unique referral link they can share. 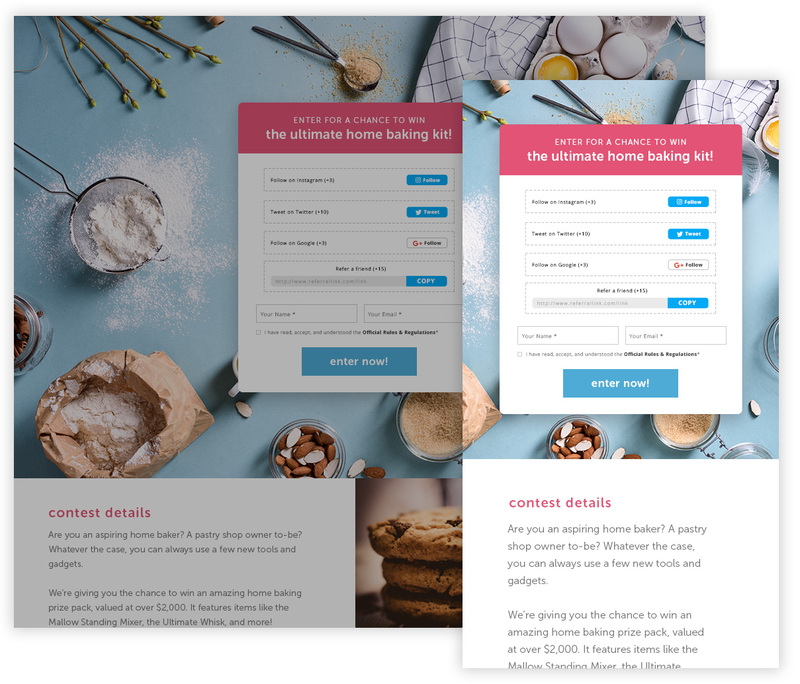 Use Wishpond’s drag-and-drop editor along with a variety of templates to easily build a bonus entry contest that’s on-brand. 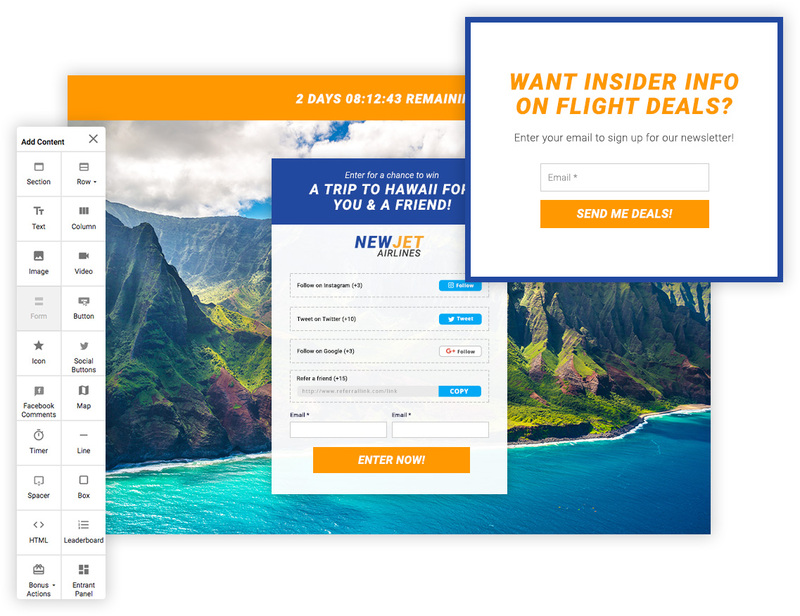 Add a variety of popups and conversion tools to maximize the conversion rate of your contest page. 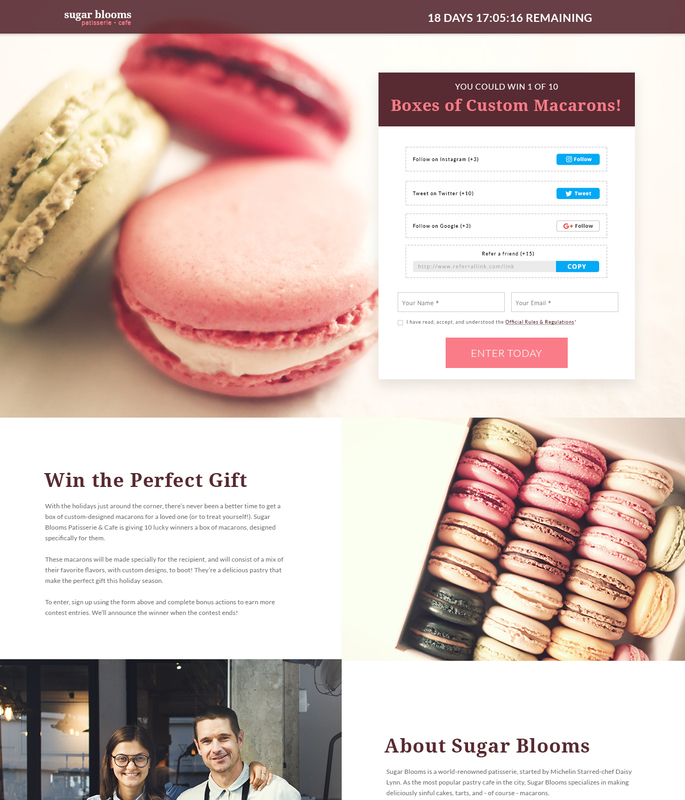 Wishpond’s bonus entry contest builder automatically creates contests that look great on desktop, tablet & mobile devices, no coding required.